I have company Lunatone device DALI 4Net. With this device is possible controlling Dali network over Modbus TCP. In your system that is possible? 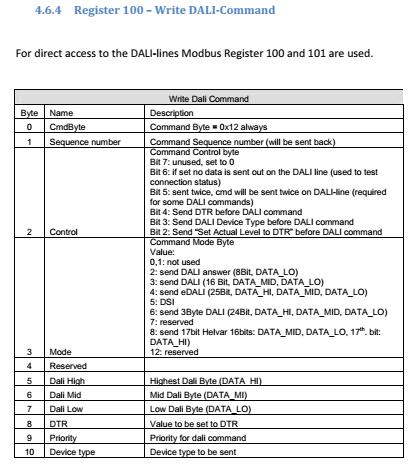 in general it is possible to control Dali network using REXYGEN and Modbus TCP communication. You can use some of our Modbus TCP examples https://github.com/rexcontrols/REXexamp … Modbus_TCP and modify it according to DALI 4Net registers. If you need any other information I will be happy to help.